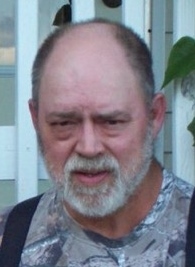 Robert Olin Hensley Jr. age 69, of Chuckey died Saturday, March 23, 2019 at Johnson City Medical Center. He retired from Five Rivers after 32 years of service. He is survived by his wife of 23 years: Carolyn Hensley; daughter: Penny and Jimmy Johnson; son: Stephen Hensley; stepson: Michael and Crystal Church; grandsons: Branddon Johnson, Caden Hensley,Jesse Church, Matthew Church, and Cody Church; stepgrandson: Kytai Church; brother and sisters: Donald “Bud” Hensley, Randy Hensley, Michael and Connie Hensley, Bonnie and Robert Estepp, Ronnie and Nancy Hensley, Lonnie and Donna Hensley, Timmy and Tabitha Hensley, and April and Robert Frye; numerous nieces and nephews and cousins, a special friend and brother-in-law: Ralph Landers; and a special friend: Tony Darnell. He was preceded in death by his parents: Robert and Ruby Smelcer Hensley; grandparents: John and Ethel Chapman Hensley and Will and Naomi Smelcer; and his beloved dog Shawn. The family will receive friends at Doughty-Stevens Funeral Home from 6 - 9 p.m. on Friday, April 5th.